I guess you’re pretty busy, like many other adults. The adults are weird. They are always in a hurry, rushing somewhere, not able to play the whole time. On the other hand, I’m spending most of my time playing. There are no other duties for me. Sadly, I think I won’t be capable to even do that anymore. I was born 3 years ago, as Mommy said. She was so overjoyed that she literally started crying tears of joy. I did not understand that very well, I cry only when I’m hurt and when Mommy cuts onion….but…there she was, crying happily. As I said before, adults are strange. The doctors told my mom that I got diagnosed with SMA. I don’t know what it is, but every time I ask her, she starts crying. But in that case, those were not tears of joy.  Far, far away from my country, doctors made some cure for that SMA thing. The cure somehow needs to find its way to my home, so Mom can finally stop crying (or continue to, but only tears of joy). Of course, adults messed up the procedure of getting the cure, and that’s the part where I need YOUR help. The transfer of cure is difficult, because some gentlemen from the television (who are in charge of everything) must decide whether to bring the cure from the other side of the world, or not. I don’t quite understand why they can’t just make this decision possible. No, they need to think it through. But…those are adults, overthinking constantly and probably having the lack of time with all that ’adult rush’. If you agree that these gentlemen need to think less and bring the cure as soon as possible, then you can help me. Please type your full name and email at the end of this page and click the support button. As a result of that, you will notify above mentioned gentlemen that I need that cure urgently, so my Mom can stop crying. Oh yeah, I forgot to tell you one thing! I’m not the only one that got attacked by awful SMA witch. There are 70 of us. These are just couple of my buddies who also need that cure from the other side of the world. My sweet Lara always wears some armor. Mommy says that armor holds her back and spine, because she can’t do it by herself. Because she’s not strong enough. I think that Lara is the strongest girl in the world. Also the most beautiful one. Combined with the armor, she always wears some nice dress, like a real-life Princess. Lara has gorgeous hair, too. She is smiling all the time, eager to play with friends. Do you think that weak girl can do that? I wish for Lara to get rid of the armor soon, so she can be free to live in a castle, with King, Queen and her own Prince. Look at my friend Anastasija! She is the prettiest Princess. Anastasija likes to have fun all day, but the fact that she can’t walk like other princesses is making her sad. I would do anything in this world to find the magic wand and defeat the wicked SMA witch. My dear girl Anastasija would be running all the time with the greatest smile on her face. This is Danica! She has the beauty of a Goddess! I’m always telling my Mom that I would like to have a girlfriend same as her, when I grow up. 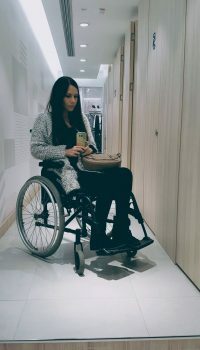 And it doesn’t matter that she’s using wheelchair, I’d carry her everywhere. 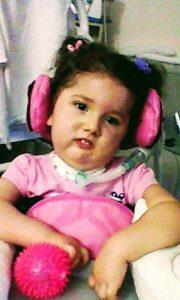 Until recently, she was able to walk, but her leg muscles are weakening and Danica is not capable of walking anymore. I know how she feels. 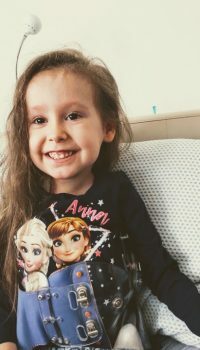 Danica is fighting this battle with our grown-up buddies, to get the cure for everyone. And I would do the same. Wander and wander all over the world, just to bring the cure to Serbia! This is my friend Dunja. Look at how cute she is. Dunja likes drawing and decorating. My parents told me that she is a talented artist. As long as she has the strength in her tiny arms, she beautifies everything around herself. Every paper, every toy, clothes, shoes…everything she touches turns into something beautiful. 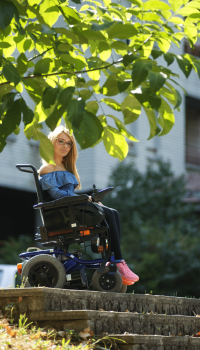 But that small amount of strength quickly leaves her muscles and Dunja becomes sad. I don’t want to watch my friends sad, ever! We will win together Dunja, I promise! Meet my friend Zorica! I like to call her Zoka. She is very cute and smart. Zoka likes to play, but playing with friends is really tiring her. Afterwards, Mommy says that doctors have to attach to her some laboratory apparatus, which will help her breathe. I heard my friend Zoka is risking her life with every single game. I hate when it happens. I just want her to play freely, laugh with us, and breathe without those medical instruments. Zoka is very strong! 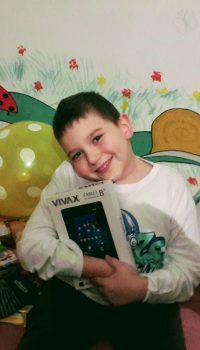 My buddy Aleksa is cheerful boy, always smiling. He likes to play computer games, he is very smart. Besides that, he likes going out with friends. 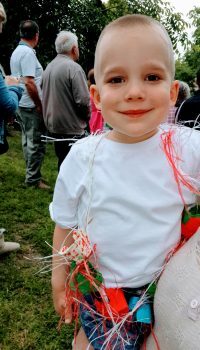 When Aleksa succeeds to sleep peacefully overnight, he is the happiest boy in the world. Aleksa also has a lack of strength in his muscles, like most of us. He’d like to try falling once again, but to stand up stronger, as well. After we get the cure, I think Aleksa will stand in all occasions, because sitting annoys him. I can’t wait to play with my stronger and healthier buddy Aleksa. This beauty is Andjela! She’s one of the prettiest girls I’ve ever seen! When she smiles, we all smile. Because she has the most beautiful smile in the world! 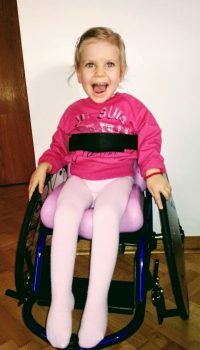 Andjela’s greatest wish is to get on her feet and stand proudly. It’s not only yours Andjela. Our wish is to see you standing too. You are already prettier than all models of the world. Now try imagining yourself walking on the fashion platform. Trust me, you will. You and all of our buddies will walk soon. Together, we will defeat SMA witch and stand with dignity. This is my older friend Iva. She is pretty and smart. My Mom told me that she has been fighting this SMA witch for a long time. 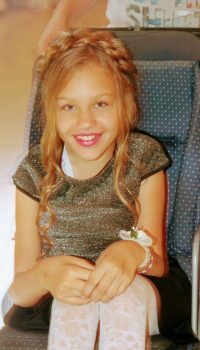 Iva, united with our older SMA buddies is struggling to get the cure as soon as possible for every patient. We can hardly wait to start using it and to welcome the next year on our feet, walking proudly. Luka is always smiling! He is talking the entire time about two knights Matija and Luka who have only one goal – to bring the cure to all of our buddies. The major problem is that every knight has his own sword, but we have no strength to hold the swords, nor to swing them. But, be sure SMA witch, we will not give up. At least, we are strong enough to laugh in your face, and someone told me once that smile beats everything. Aleksandra is my sister from another mother. She is very smart, always creating some computer programs and telling me everything about that, because I’m very curious. I wish I could be like Aleksandra in the future. The wicked SMA witch attacked her too, and we can no longer walk together. Both of us are losing strength. Neither of us can play like we used to. 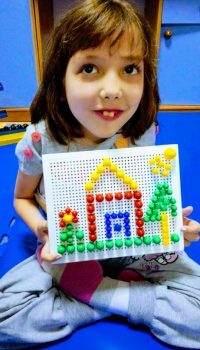 Aleksandra is like a good fairy, fighting to help all our SMA friends. Here’s my older friend Luka. He’s always riding some cool motorcycle. 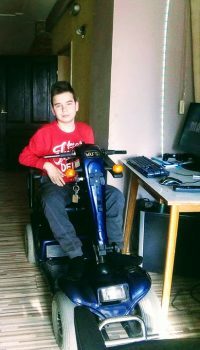 Mom says that it helps him move, because he can’t walk. I wish I could have such a great motorcycle. I would ride it most of the time, but with ability to get off and run free. I know that Luka wants the same. As soon as we win our battle, we will be able to walk, jump, run and ride some newest, professional motorcycle. Stefan is like my big brother. He is so purely good and kind. Always in a mood to play and joke with us children, but he also has many friends of his age. Often, he gets sad, because he can’t go everywhere he wants. His leg muscles have weakened, and unfortunately that led to inability of walking. My buddy Stefan has many life plans: to start working, get married and remain happy. The key to his happiness is this cure, and I would do anything to bring smile on my brother’s face. 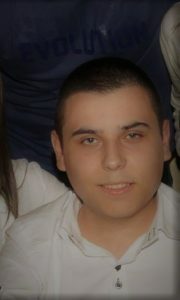 Veljko is Aleksa’s little brother and my friend. Mommy says he’s cute like some sweet mini-bee. I’m not sure what it means, but he is full of joy, always trying to entertain everyone around himself. I thought that mini-bees have some hidden strength inside, but his Mom told me he walks more difficult as days pass, sadly, becoming weaker and weaker. Wicked SMA witch caught him too! 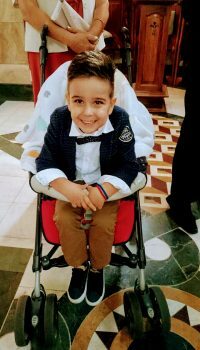 We will get this cure for Aleksa, Veljko and all of our buddies, whether younger or older. And we will all be healthy! Who do we need to bother? 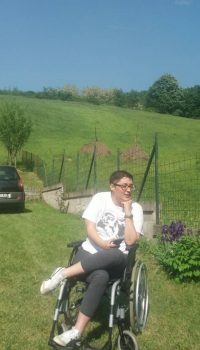 People who work here are the ones who should focus on getting the treatment that is necessary for SMA patients. We must be persistent in reminding them about the cure. The ones that are situated here should take care of the health of people living in our country. So, if there’s a cure for 70 sick citizens, their duty is to get the cure as soon as possible. This is the boss of all those gentlemen from TV. He decides on the most important of all things. If we inform him about our health problem, he can certainly bring this cure from the other side of the world. Tell those gentlemen from TV to get us the cure.